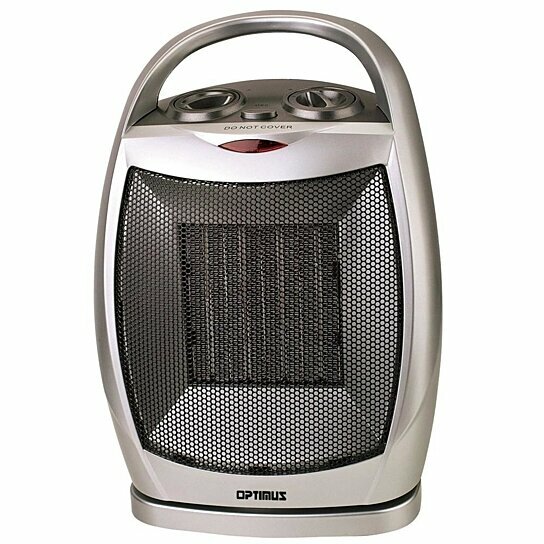 Optimus brings you the finest in fans and heaters. The H-7247 is a portable oscillating ceramic heater with a modern design. Features include two heat settings of 750 and 1500 -Watt, automatic thermostat control, fan only setting, four position function switch with settings of off, fan, low, and hi, internal heat limiting thermostat, overheat protection circuit, space saving housing, and power indicator light. Condition : This item is Class A refurbished. This is the cleanest class of refurbished product you can buy. This item will arrive factory packaged, and be free of defects. It has been repaired and tested by the manufacturer and the problem parts were replaced.